Last but not least, we have our backlinking. Backlinking a video is all about sending social signals. Like we said in the last article, you will want to send the backlinks to the video at the same time in which you are sending the views, likes, comments and subscribers. If you have a backlink submitter, you are ahead of the game. Send everything you can to the video. If not, you can turn to Fiverr to get some cheap backlinks. What Kind of Backlinks Should I get? You can also send blog comments, spun articles; Wiki’s and embed your video onto posts. You don’t have to be careful when you are backlinking a video like you would with a website. When it comes to video ranking, velocity and timing is just as important as link quality. Yes. The pyramid linking structure is fine to use here. Backlink your backlinks to increase the index rate of your 1st tier backlinks. You do not have to backlink your bookmarks or tweets, but you should backlink the other backlinks such as wiki’s, article posts and Web 2.0’s. You can use scrapebox or buy a large package of blog comments on Fiverr to get this 2nd tier done. You can also use windows movie maker or the free version of Animoto to mass create lower quality videos. You can submit these videos to other video sharing sites and point the links to your YouTube video. One more note about the backlinks, if you find that you are not able to rank the video, try sending more backlinks to it. 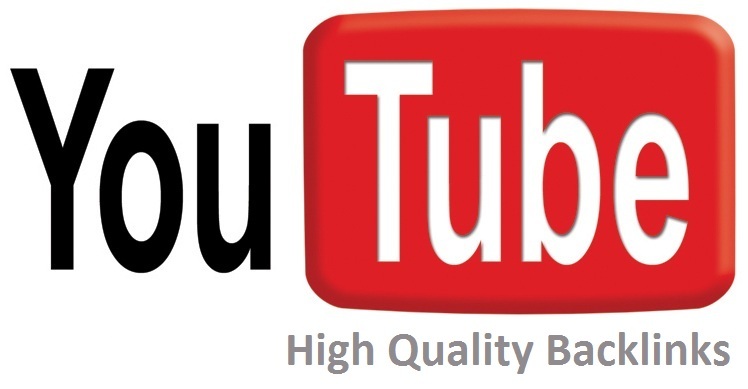 If you are still not having any luck, switch to higher quality backlinks or manually create some Web 2.0’s which you can use to help boost several of your videos. That is about it as far as we will need to go with our backlinks. When you create the backlinking campaign or order Fiverr backlinks, make sure you do it at the same time that you are sending the views to your video so that Google picks up on the viral signals. There you have it. A spoon fed guide that will make you money. If you are going to get 1 of these steps correct, make sure to keep the video quality high. Even if you don’t rank the video well, a high quality video will still bring in conversions. That shouldn’t be a problem since we are targeting easy to rank keywords. What is a Link Pyramid? Great Article, I learned something from it.